Multi-sensor data fusion is extensively used to merge data collected by heterogeneous sensors deployed in smart environments. However, data coming from sensors are often noisy and inaccurate, and thus probabilistic techniques, such as Dynamic Bayesian Networks, are often adopted to explicitly model the noise and uncertainty of data. 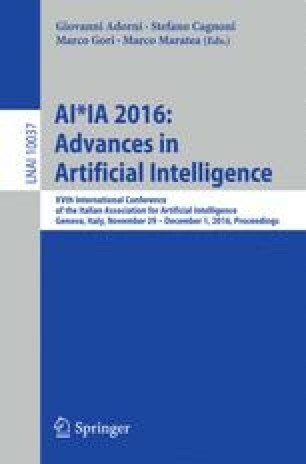 This work proposes to improve the accuracy of probabilistic inference systems by including context information, and proves the suitability of such an approach in the application scenario of user activity recognition in a smart home environment. However, the selection of the most convenient set of context information to be considered is not a trivial task. To this end, we carried out an extensive experimental evaluation which shows that choosing the right combination of context information is fundamental to maximize the inference accuracy.